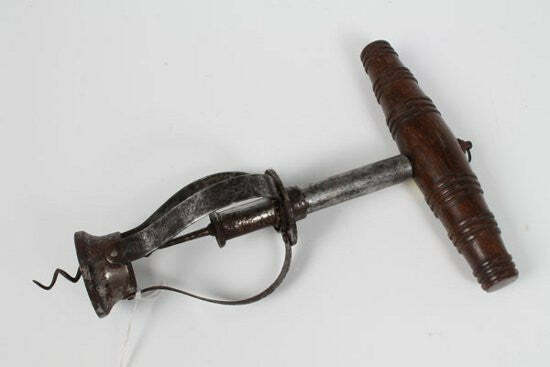 A corkscrew made from Old London Bridge has shocked auction experts by selling for £40,000 (63,037). The 19th century corkscrew, which no longer works, made a mockery of its £600 high estimate at Reeman Dansie Auctioneers in Essex, UK on November 26. Made by I Ovenston of 72 Great Titchfield Street in London, the BBC reports it features the inscription: "Made from the Iron Shoe that was taken from a pillar. That was 656 Years in the Foundation of Old London Bridge." Old London Bridge was demolished in 1831 when work on New London Bridge was completed. This bridge was itself replaced by the present incarnation in 1973. The auction house's Jonathan Benson explained that the amount "caught us all unawares", the result going to show how unique and antique pieces can capture the attention of bidders. The auction also saw a strong performance from an ancient Egyptian sarcophagus, which sold for £13,500 ($21,277) against a £6,000 estimate. The auction house discovered the 3,000-year-old piece during a routine house valuation when its owner moved into a nursing home. "The hairs went up on the back of my neck when I walked into the room," said valuer Mark Stacey. "It was stood up against a wall and was being used as a decorative item. It's the sort of thing you would expect to see in the home of the Addams Family." It is thought a British solder brought it back from Egypt during the Napoleonic wars. To keep up to date with the latest unique auction news, make sure you're a regular visitor to Paul Fraser Collectibles.